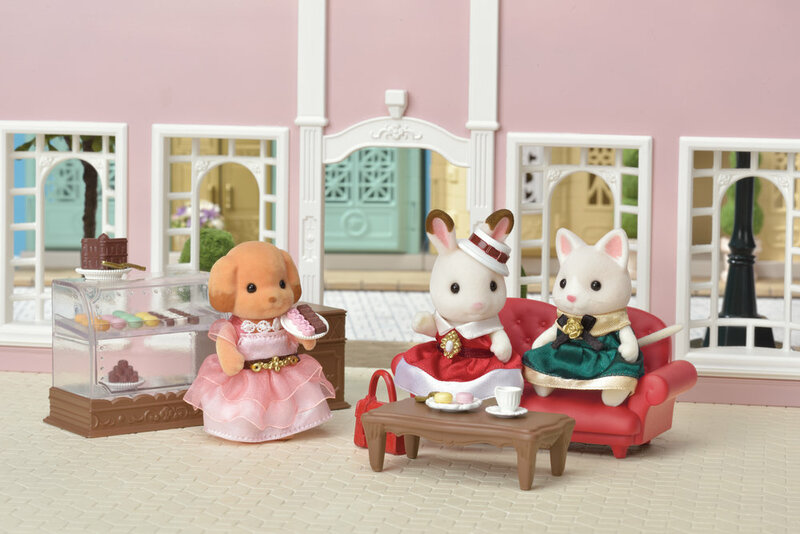 31 years since it first arrived in the UK, iconic toy range Sylvanian Families has expanded with the largest product launch in its history – a new town – now available to buy from all good toy shops. Collected worldwide by fans from three years old to adulthood, Sylvanian Families comprise miniature, anthropomorphic woodland animals which live in dolls houses within the fictitious, rural ‘Sylvanian Village’. 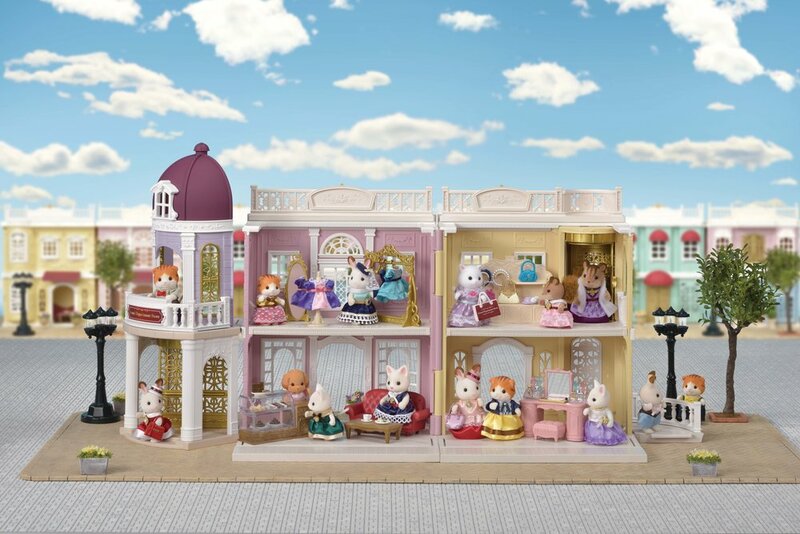 The launch of the new Sylvanian Families Town (22 product lines) allows fans to create an alternative to the usual countryside setting of the Village. 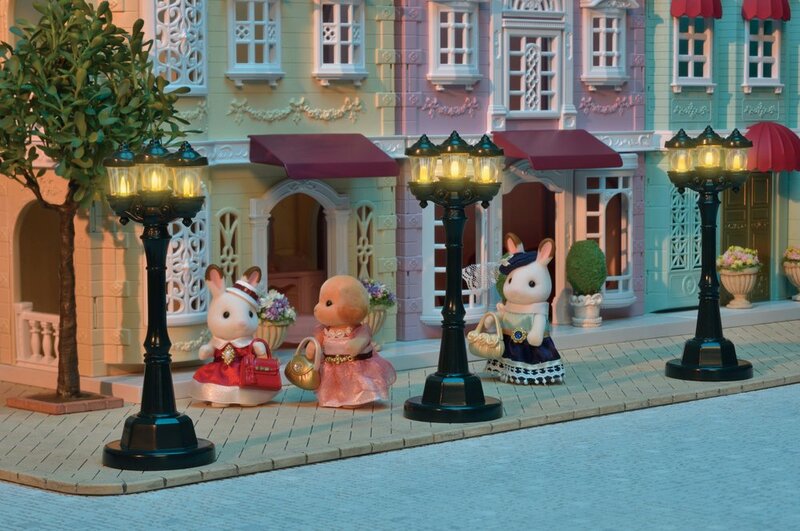 An exciting urban destination for the Sylvanian characters to visit on a special ‘day out’, the Town is also where the ‘older sister’ characters work – doing their dream jobs. 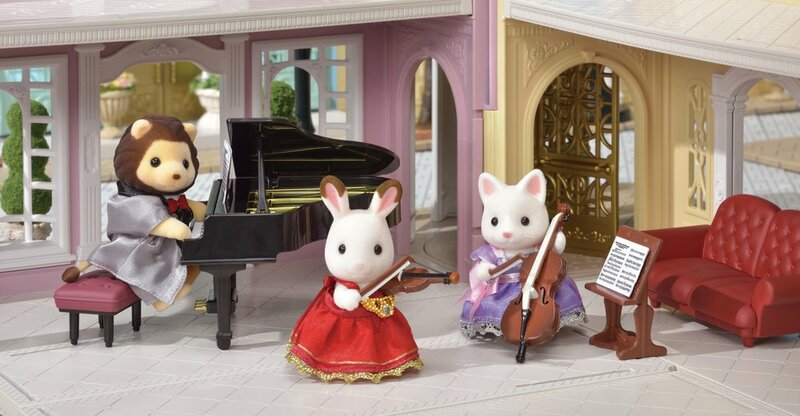 As with most countryside-dwellers seeking a spot of shopping and culture on a trip to town, Sylvanians can enjoy a host of sophisticated activities, designed with all the usual intricate details for which the global toy brand is famous. Dominating the Town’s main street is the Grand Department Store (complete with workable lift and revolving door) where the latest fashions can be displayed alongside luxury accessories and a beauty cosmetics counter. There’s also the option to visit the Designers Studio to be fitted for a bespoke outfit by the fashion designer, Stella Chocolate. 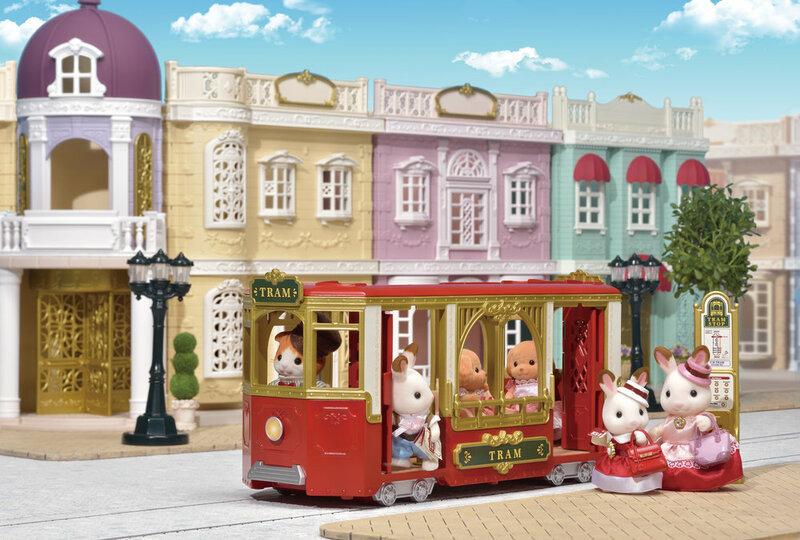 Getting around the Sylvanian Families Town is easy via the red and gold Ride Along Tram which takes visitors to all the main destinations. 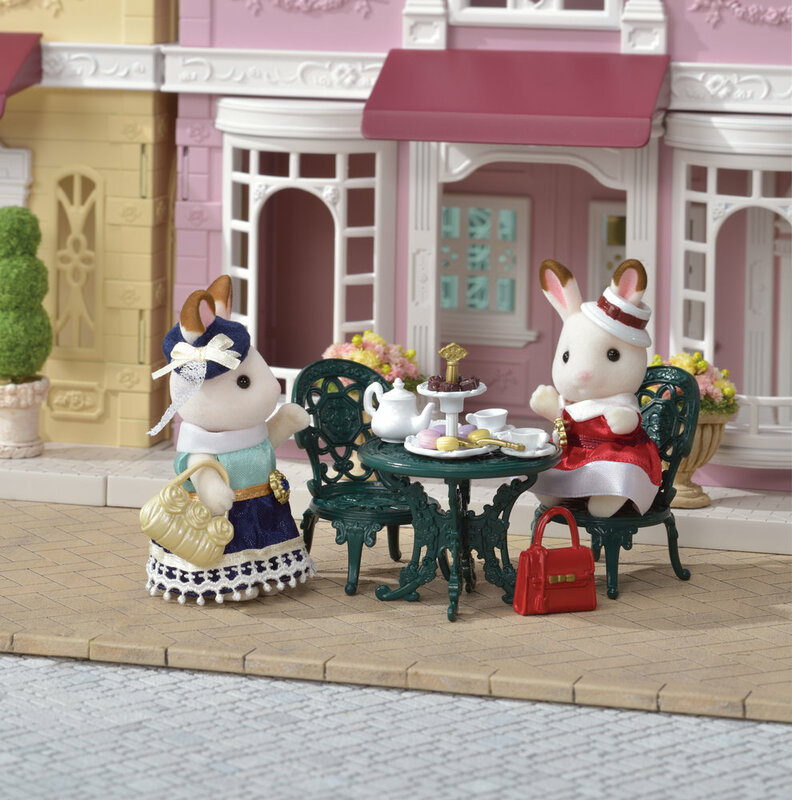 After a morning’s shopping, Sylvanians can enjoy a spot of lunch at the new Delicious Restaurant, visit the Creamy Gelato Shop, relax in the Chocolate Lounge or take afternoon tea on the restaurant terrace. Culture-lovers can also listen to a classical concert during their day out, thanks to the grand piano, violin and cello sets. When darkness falls, there are workable street lights to throw a warm glow over the pastel-coloured buildings. 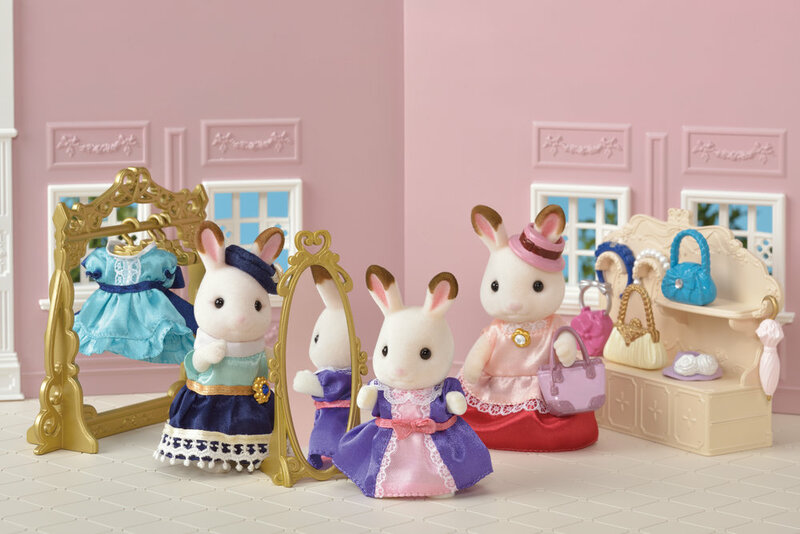 Everyone loves to get dressed up for a day out, and Sylvanians are no exception! Launching alongside the Town buildings and interior accessories are various dress up sets, including elegant dresses, hats and handbags for key characters. 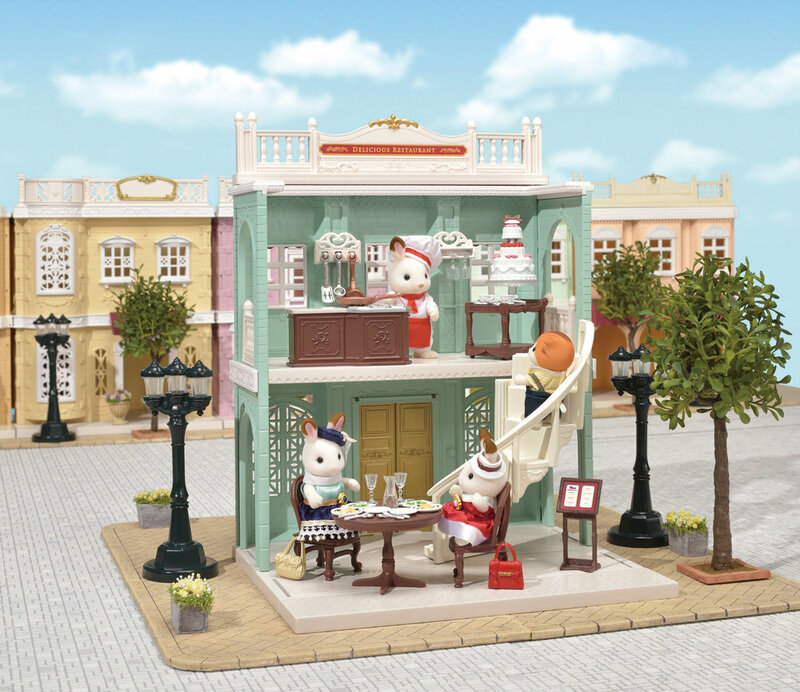 There are new characters living in the Sylvanian Families Town: Stella, Lulu and Laura are the older sisters of existing characters and depicted as independent working women. The Maple Cat Family comprises Father, Mother, two children and twins; Theodore the Maple Cat Father is the tram driver and Georgina the Maple Cat Mother runs the Creamy Gelato Shop. Highlight PR is a results-focused PR and content marketing agency, based in Bath. The agency specialises in consumer PR for baby, kids and family brands and licensed characters and B2B PR for architects, designers, events, leisure and creative companies. Award-winning arts and design pop-up Forest of Imagination returns to Bath on 20-24 June 2019, teaming up with the Holburne Museum to stage a festival of fantastical installations, creative workshops and sculptures designed to spark everyone’s imagination. Ahead of National Pie Week from 4-10 March, Charlie Bigham's, the premium food brand, has released Britain’s faves topping the pie charts with steak and kidney as the number one choice. Whole Earth, the UK’s number one peanut butter brand, is set to launch a Crunchy Dark Roasted peanut butter with a rich and intensely roasted flavour that will launch into Waitrose stores nationwide in February 2019. Bath’s exclusive personal training specialist, HEALTH, is set to expand in January 2019, with the launch of CLASS, a brand-new boutique fitness studio located within the Bath Riverside development.